is approaching government of different countries to provide better facilities and services at minimum cost. 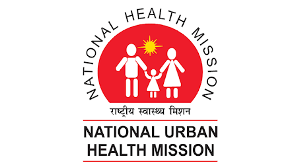 The National Urban Health Mission (NUHM) as a sub-mission of National Health Mission (NHM) has been approved by the Indian Union Cabinet on 1st May 2013. NUHM envisages to meet health care needs of the urban population with the focus on urban poor, by making available to them essential primary health care services and reducing their out of pocket expenses for treatment. This will be achieved by strengthening the existing health care service delivery system, targeting the people living in slums and converging with various schemes relating to wider determinants of health like drinking water, sanitation, school education, etc. implemented by the Ministries of Urban Development, Housing & Urban Poverty Alleviation, Human Resource Development and Women & Child Development. Birlamedisoft is now with National Urban Health Mission and working on healthcare solutions for Telangana State. We are closely working with Urban Primary Health Centre and Basti Dawakhana for end to end healthcare solutions. The program is consisting various services including OPD, Finance, Accounts, Pharmacy, Procurement, Nursing, Laboratory, Teleconsultancy and mobile applications.